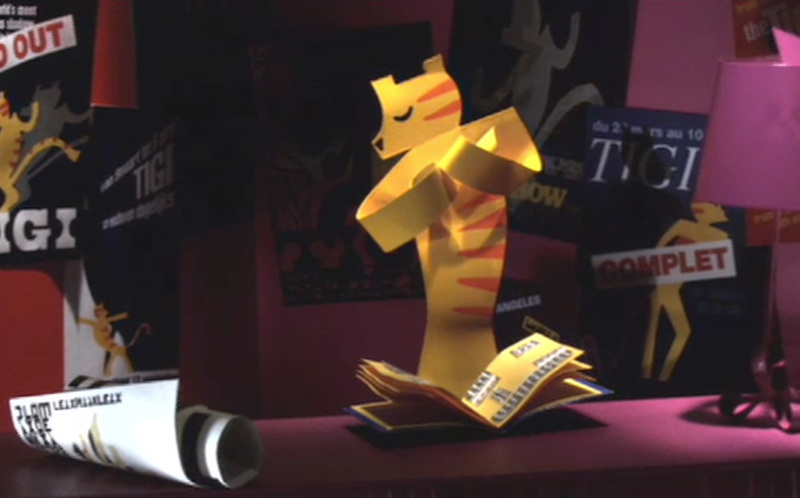 TIGI, the dream of a Paper Tiger. A symbolic character in his symbolic odyssey. A story of weakness, love, terror, money, and how to find happiness when you are a Paper Tiger. Tigi leaves his boring village life , and be given a magical book. Each page of this book will solve frightening issues. Until there is no more available pages. We created this story and made the short animated film in 1997. Hansol paper company in South Korea was at that time building a magnificent Paper museum and have created a cinema room for the unique purpose of projecting this film. Visitors of the museum would have begun their visit by watching this film. We used this opportunity to make a true fairy tale, and invented this story of Paper Tiger (Tiger is a big symbol in Korea) that will be loose his weakness by visiting the world. 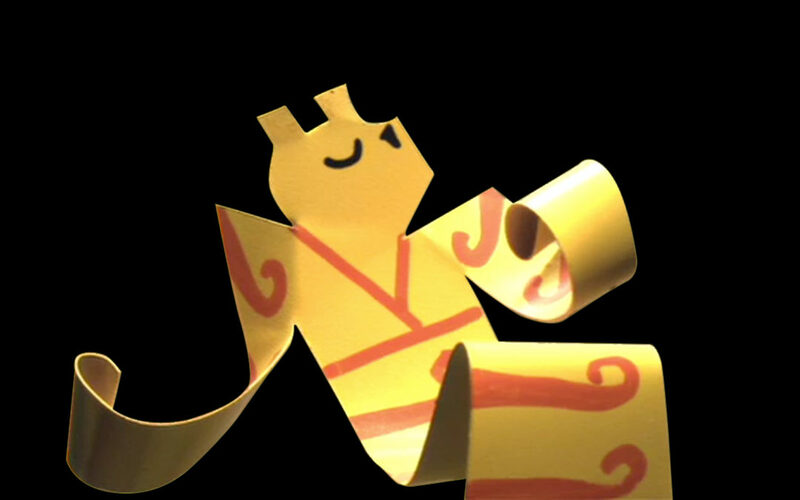 Of course the whole film, characters and set design, are made of paper, animated and filmed frame by frame. The sad end of the story is that the big economic crisis in South Korea exploded right for the opening of the museum, so we guess this film didn’t had the chance to get a big audience.